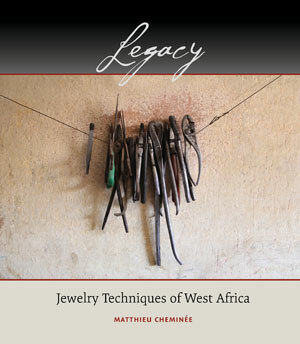 Part technical guide, part anthropological study, Legacy offers a glimpse into the daily lives and work habits of the jewelers of West Africa. Author Matthieu Chiminée traveled to seven countries, interviewed hundreds of craftsmen and took thousands of photographs over the course of a decade to compile this comprehensive resource. While metalsmiths in the West will be fascinated and humbled by the techniques presented here, all readers will glean insight into African culture and art as they stand today, a legacy from ancestors.